Maybe our frequently asked questions can be of help. What is Christian Outdoor Fellowship? COF is a nondenominational Christian organization that utilizes recreation for evangelism. By capitalizing on a common interest in hunting and fishing, we can present the Gospel to men who resist traditional evangelism methods employed by the local church. Do I have to attend church to join COF? No. Anyone is welcome to attend COF events. How much does it cost to join COF? COF is a non-profit organization. There are no dues, however there are overhead expenses. If you would like to give a Love Offering to help cover our expenses, click here. What types of events does COF host? How can I volunteer to coordinate an event? Please contact Jimmy Hassell, Leadership Coordinator about your interest. How can I be considered for an officer position? What is the mission of the COF? The COF reaches men through recreation and lifestyle evangelism. 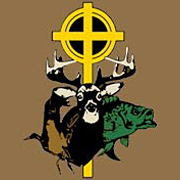 By capitalizing on a common interest in hunting and fishing, we can present the Gospel to men who resist traditional evangelism methods employed by the local church.COF constitutes for the purposes of informing, inspiring, and instructing men in evangelism and discipleship. We are a church support organization and do not operate as a local church, or desire to replace it. We fulfill a vital function within the body of Christ, providing local congregations with a innovative evangelistic tool for men who are already committed to, and involved in, a local church. For more information about our mission statement, mandate, goals, doctrinal declaration, and code of conduct, click here. Do you have any information about becoming a Christian? Yes! Please read our information in The Greatest Hunt or The Big Catch. Do you know of any Christian Sportsmen's Web sites? Our purpose is to create fellowship and outreach through hunting and fishing events using God’s great outdoors as a platform. We have a large number of members in the Greater Houston area and continue to grow. If you have any questions about COF events, please use the form below, email Jimmy Hassell (Executive Director) @ jimmyhassell@ghcof.org or call 281-788-8435.